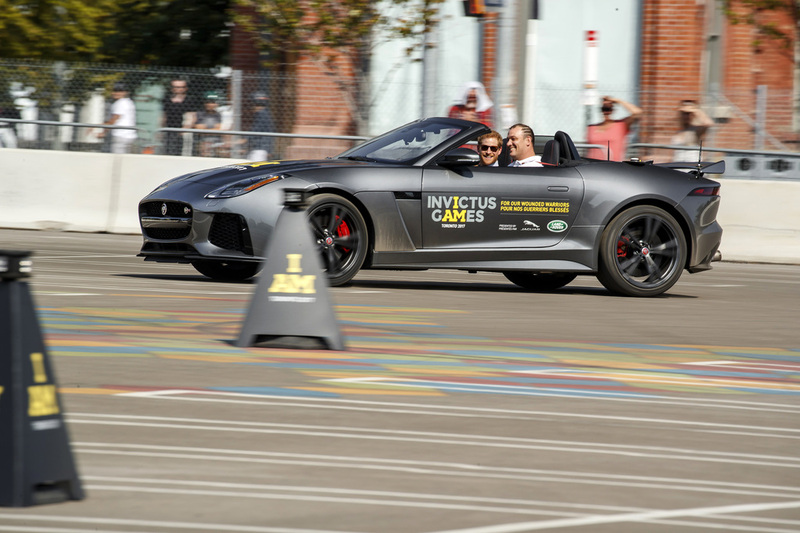 Invictus Games Toronto 2017 competitors from Germany were greeted by Prince Harry as they contended for gold and silver medals at the Jaguar Land Rover Driving Challenge at the weekend. 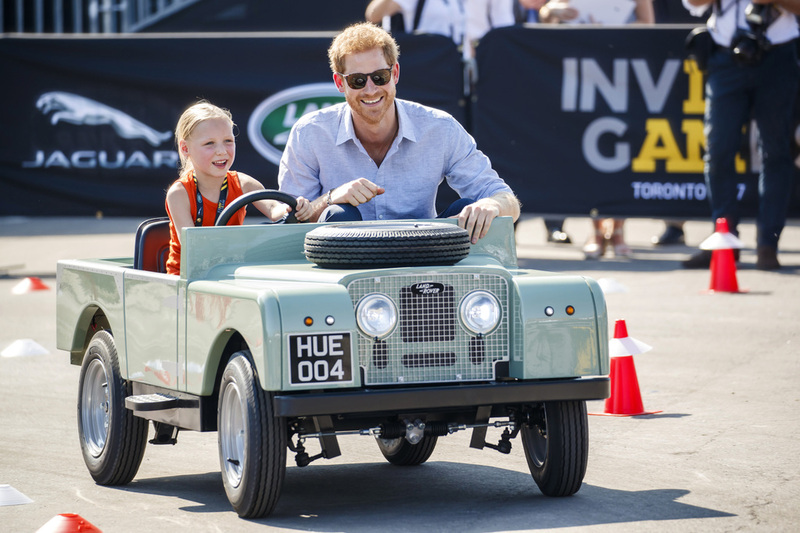 The Prince joined finalists at the specially-constructed driving course as they competed for the first medals of the Games in Canada. Teams from 13 nations tackled the off-road and agility driving challenge, which tested their communication, team-work and strategic skills in two time-trials in both a Land Rover Discovery and Jaguar F-TYPE SVR. The Jaguar F-TYPE guarantees speed and handling precision for the tough slalom challenge course featuring ’Jaguar Smart Cones’ to create an unpredictable, constantly-changing track layout to increase driver difficulty. 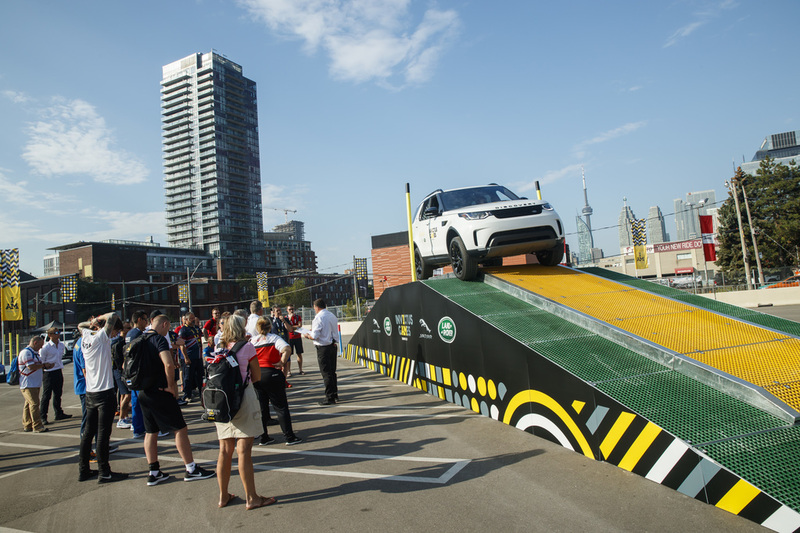 The Land Rover Discovery is also used on a daunting urban off-road driving course with tracks designed to test both driving and navigational skills. Prince Harry awarded medals to the top finishers, with the team from Netherlands taking gold, Great Britain finishing second, and Denmark claiming bronze.